I am so ridiculously excited for autumn this year. I can't wait for the fashion, hot chocolates, cosy nights in and of course, lush baths! I only ever tend to go into lush in the colder months so when I do, I don't hold back! The first one I grabbed was Cinders. Now this was the only autumn/wintery one which I got because I'm not quite ready to be dropping santa in my bath just yet, I think it may be a little early for that, haha! But I got this one last year and it is so so nice I just had to buy it, It's really sweet and a little spicy, its such a warm and comforting scent, I love it! It's a solid shampoo. Its quite coconutty and also has hints of vanilla. I have no idea how I'll get on with this because I've never tried anything like it, but It's supposed to hydrate your hair which sounds good to me! This is a bubble bar which means you break a bit off and rub between your hands under the tap and creates loads of bubbles. This particular one has a very strong lavender scent, so if your not into lavender stay clear of this. But I can't wait to try this because lavender is supposed to be really relaxing so it will be really nice for a bath before bed, plus I love the look of this one. How cute is he though?! I couldn't help but pick this one up it was so cute! I love the subtle vanilla scent too, its not too over powering or sweet just quite clean smelling. If you like the butterball then you will like this because, really its just that in a bear shape! This is another one of the freebee's I got, It's a massage bar which you basically massage it into your skin. I really don't know how to describe the scent of this one, its kind of.. spicy? I'm really not sure if I like it but its supposed to help with aches and pains and relax your muscles so for that reason I can't wait to try it!! This one is a very fresh citrus one. It's also quite a calming. I've heard good things about this so I picked it up, plus it's huge!! I have to say this is the one I'm most excited to try. I've heard so much about this one but, for some reason never picked it up. Its a very sweet floral smell and is supposed to be very softening as it has soya milk in it. This is quite a floral one but not too over powering because I don't actually like floral scents all that much but I genuinely love the smell of this. I thought it was quite cute, I love the little flower confetti in the middle. Plus the lady in the shop recommended it to me so I picked that one up too. I hope you enjoyed looking at my lush stash, I find it so satisfying when I'm all stocked up with their bath bombs! 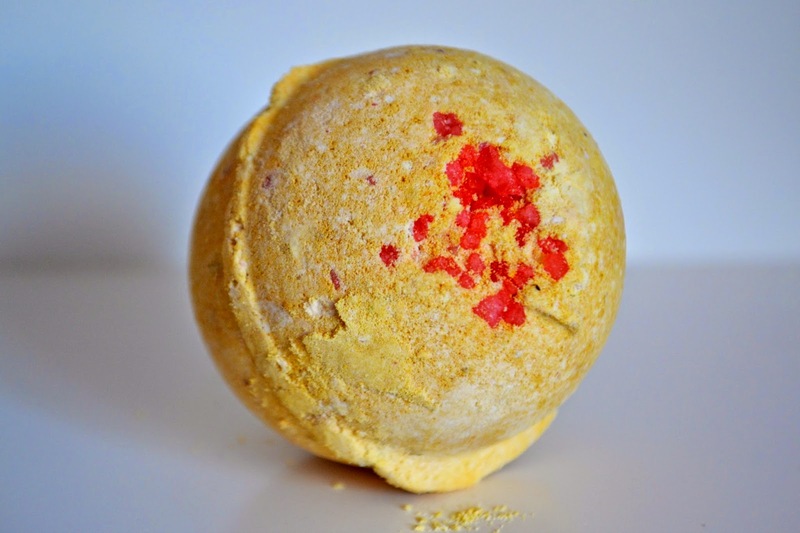 What's you favourite bath bomb?